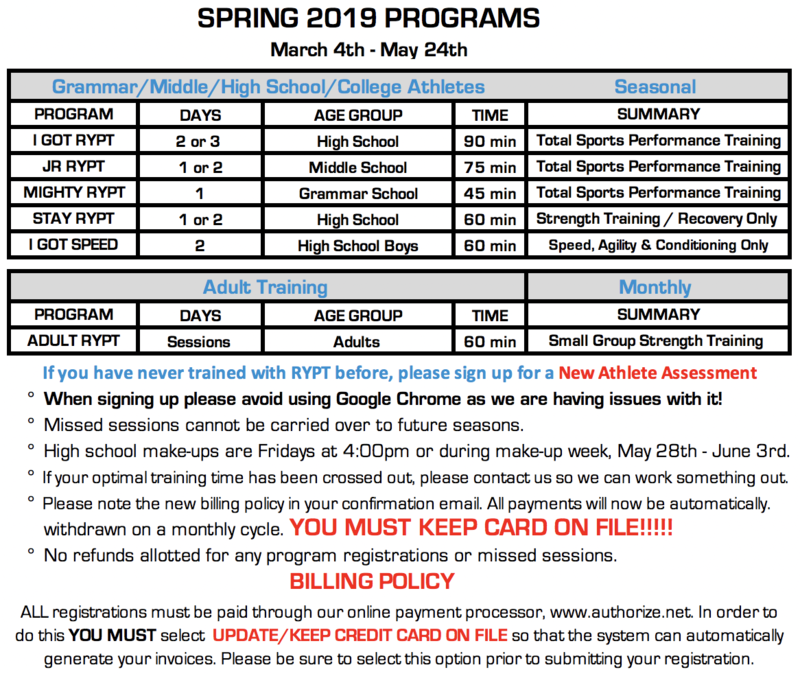 The STAY RYPT program is the optimal training package for all IN-SEASON athletes who wish to maintain and build upon their off-season “I GOT RYPT" training or competitive athletes who only need to focus on their strength and power. This package does not include any speed, agility or conditioning. This is strictly a power/strength/mobility only program. The STAY RYPT program is offered two-four times per week allowing flexibility for athletes to participate based on their practice and competition schedule. Sessions are 60-minutes each. The I GOT SPEED program includes speed, agility, multi-directional movement training, jumping and general/sport specific conditioning for today's high school football player. This program is reserved for high school football players who strength train at school throughout the year and need to add an extra edge of movement and speed to their performance arsenal. Trainings days are usually Tuesday/Thursday with each training session lasting 60-minutes.